Through this article, Belt Drive Betty invites you to help them find the most friendly Canadian motocyclistes community via a super contest! By talking about what makes your area fanatics you could earn your community one of 12 prizes and over $ 60,000 in promotional marketing! You will also find in this article information about the competition and what led Belt Drive Betty to look to the most friendly community. The bike paradise, it's my home! 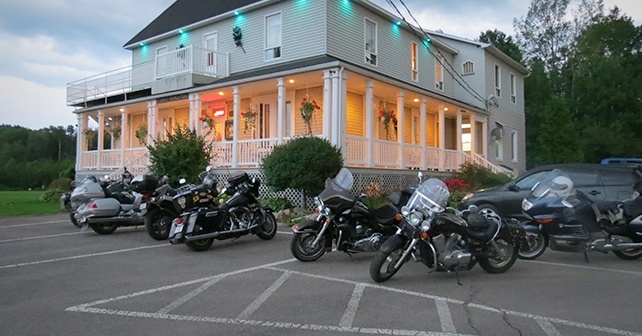 We see it all the time on social media, in magazine articles, on television… that rider who swears up and down that they live in motorcycle Nirvana, the greatest place to ride in the country. Now… they can’t all be right, although I think probably many of them are sincere… there are a lot of great places to ride in our Nation, and a lot of great people to meet. I think every rider, from sport bike to cruiser, trikes or sidecars, has a favorite spot to ride, and a spot they’ve always dreamed of trying out. There’s an old saying that it’s all about the trip, not the destination, but you know, sometimes the destination is the thing. 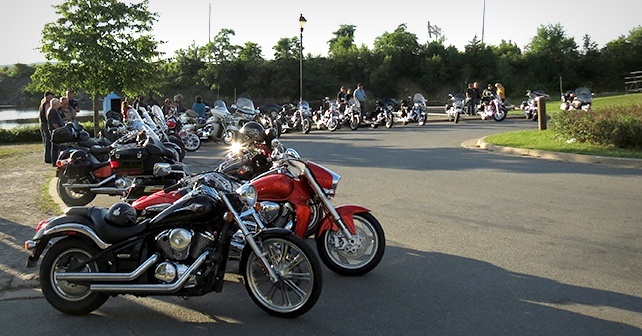 Whether it’s an event like a rally or swap meet, charity ride or social gathering or bike night, sometimes the trip is just part of the fun. You don’t have to tell Belt Drive Betty (http://www.beltdrivebetty.com) about the trip being important. This is a woman who has crossed this nation many times, often alone and even more often escorted by new friends on her solo “Conga” Rides that promote things like rider awareness and remembrance of our Military Veterans and fallen members of our Canadian family. For those who track things by odometer readings, there’s nothing to it for this lady to put 25,000 km on for just this one trip… and double that in a season isn’t out of reach either. Belt Drive Betty understands “the ride”. She lives it. This is a woman who can’t turn a wheel without running into a cause for Canadians that she feels for, believes in, and usually gets behind with much more than words. However, as she’s done these tours, and nearly every other imaginable trip in Canada, Betty has come to realize something else… that when this rider or that rider or the other one tells her “no, really, you gotta come ride the ****, it’s the BEST”, she pays attention. Oftentimes, those riders are right. Hundreds of rides, tours, side trips and explorations have shown her that Canada offers amazing, heart-stopping, meaningful rides, topped off with amazing people and staggering destinations, stopovers, communities… and fellowship. 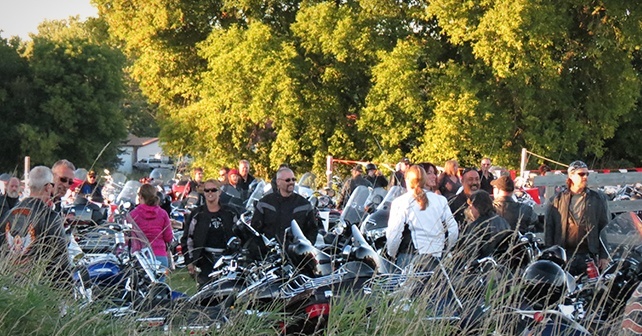 Where do we find the most welcoming community for motorcyclists? So Belt Drive Betty had a question- just where exactly IS Canada’s MOST Rider Friendly Community? She tried to answer this based on her experiences, and found it impossible. Too many places, too many great experiences, just- too much data. She’s pretty sure that it’s hidden somewhere in Rural Canada, though- so she’s turning to Canadians to help her figure it out, with a contest that just happens to be called… “Canada’s Most Rider Friendly Community”. The aim isn’t just to answer her question, however. The real goal is to spread the word about the “wonderful businesses and communities that are there for riders to explore”. To let others know about these gems, to let local riders promote their town, community, or area, and to particularly inform us about the businesses and organizations that are rider friendly, whether they’re directly related to riding or not. 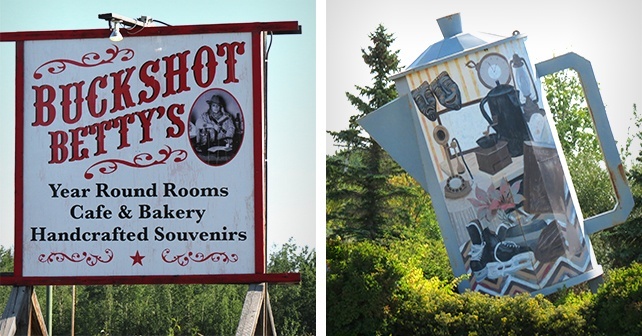 It might be a laundromat in Kelowna that has special motorcycle parking, or a bicycle shop in Shaunavon that stocks motorcycle tubes and tires in the back room, or a scenic roadside attraction near Glace Bay that welcomes large groups of riders that take over the parking lot. Many times they might be owned by current or former riders, but always they’re owned, operated, staffed, or otherwise involved with great Canadian people of every imaginable kind. These are the folks that help create Rider Friendly Communities, and these are the Communities that Belt Drive Betty wants to help promote. So, if you think YOU live in the Canada’s Most Rider Friendly Community, put together a nomination for your town or area. Talk about the things that bring people there to ride, or make it a place to ride to. Tell Betty (who will tell us all) about the area, the roads, the scenery, the petting zoo or turnip farm that makes your area fantastic. Your submission could land your Community or Town one of 12 prizes, and a chunk of over $60,000 in marketing prizes to spread the word to everyone, and bring more riders in to enjoy your area. We think Belt Drive Betty’s got a great idea here, and we hope you participate so we can hear why you think you’ve found Canada’s Most Rider Friendly Community. I’ll be using the results to plan my next vacation, too!